Ellaby flew in for 278 touchdowns in 290 appearances for the Saints figures exceeded only by Tom van Vollenhoven and Les Jones. 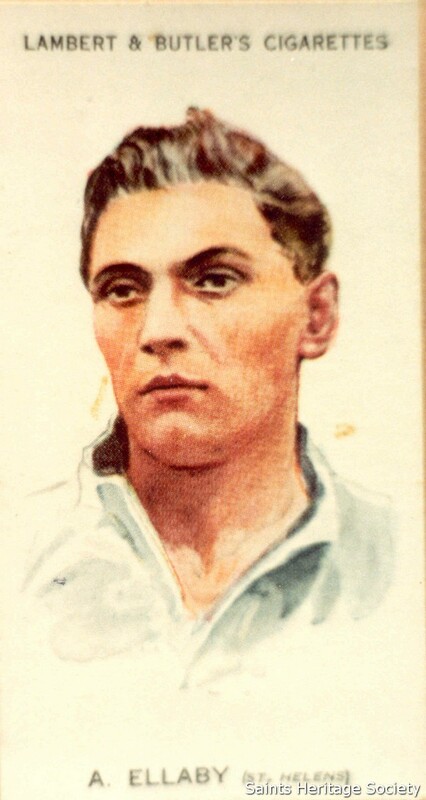 Dubbed ‘The Hat-trick King,’ he notched three tries on 31 occasions for the Saints, and was the first player to score a half-century of tries in a season. Alf toured Australia with both the 1928 and 1932 Great Britain squads and made 13 Test appearances overall. Capped by Lancashire on 19 occasions, he touched down 17 times for the Red Rose County. 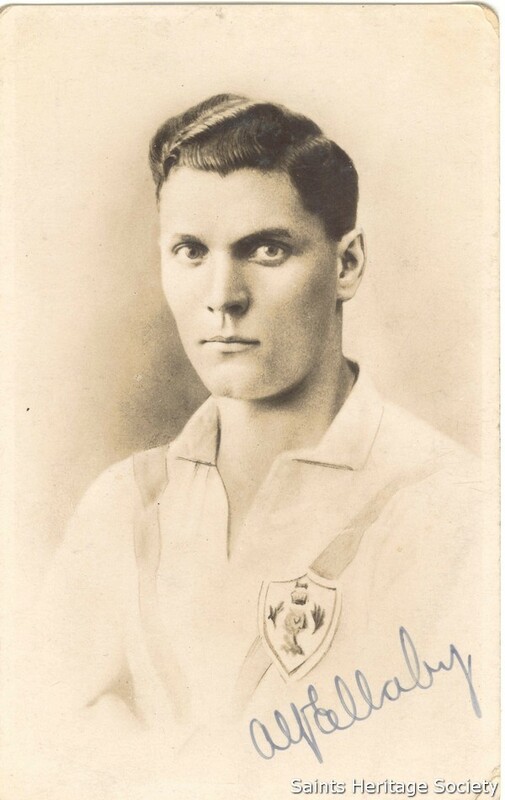 Ellaby scored after just 30 seconds in the First Test against Australia at the Sydney Cricket Ground in 1932 and he captained his country in the first-ever international against France in Paris in 1934. In his first full season, 1925-6, he won Lancashire Cup Winner’s medal in the defeat of local rivals Recs 10-2 at a packed Wilderspool ground in Warrington. 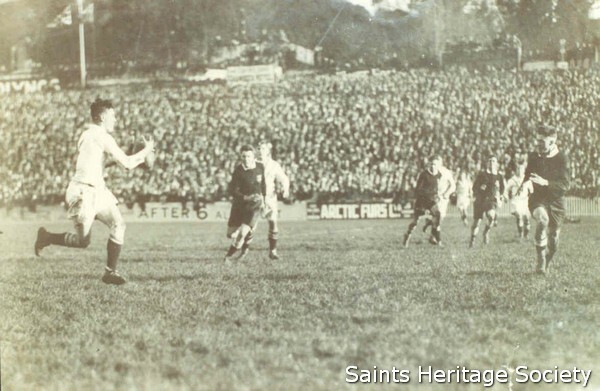 He was the man to really ‘kick-start’ the Saints’ quest for major honours in the mid 1920s. Alf was a thoughtful, intelligent man and a true Corinthian, who detested foul play. He was always critical of some of the tactics in international football, which he considered brutal and unnecessary. Skill and guile was always the best way as he showed in the international between England and Wales at Wigan in 1928, when he did the unthinkable scored a hat-trick against the great Jim Sullivan! His performance that day showed what a truly great performer he was, using change of pace to great effect and the ability to stop dead in his tracks to totally bamboozle the most famous full-back in the world!